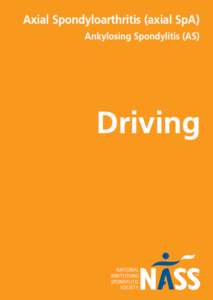 This guide gives information on driving safely with axial SpA (AS). It includes information on when you need to inform the DVLA about your medical condition. It also gives the steps you would need to follow to inform the DVLA. The guide also covers the Motability scheme and the Blue Badge scheme.